La belle France seems to have more than its fair share of good things—not least of which are food, wine, and haute couture. 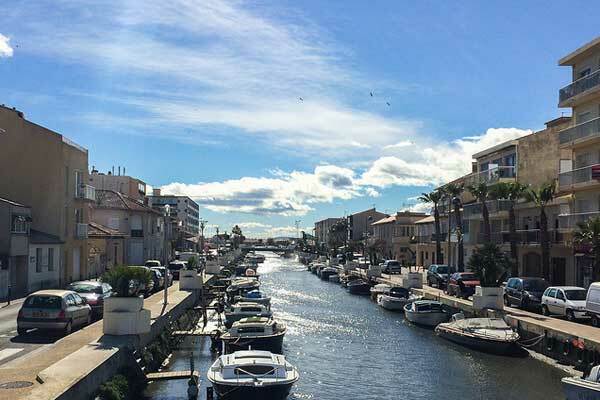 Whether you’re looking to move or retire to Europe, or simply plan an extended vacation, France should be at the top of your list of possibilities. It has all the ingredients that we at International Living look for: a good climate, unspoiled countryside, top-notch culture, excellent healthcare, colorful traditions and history, and, of course, the glitter and sophistication of Paris—arguably the world’s most bewitching capital. It’s not surprising that France is the world’s favorite destination, receiving in excess of 80.5 million overseas visitors each year. If you’re in the market for European real estate, then you will find France real estate attractively affordable. 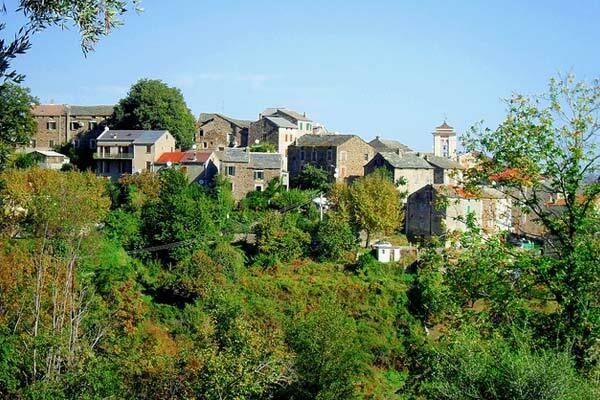 France is a predominantly rural country, so if you have notions of restoring a cottage, a farmhouse, or even a château, there’s an ample supply of real estate for sale in France for you to choose from. 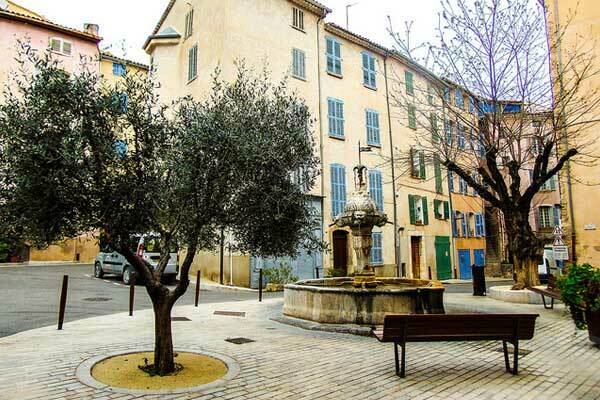 The choice of properties in France selling for less than $100,000 is astonishing. And we’re not talking about just ruins and renovation projects. The first rule is of buying real estate in France is: don’t rush in. 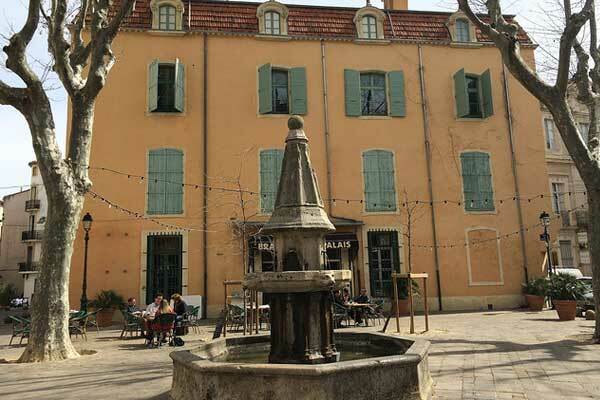 Unless your heart is set on a home in the more popular areas of Provence, there are more than enough French castles, farmhouses, and village houses on the property market for everybody. The supply is not going to dry up suddenly, so take your time. Visit a range of different properties in France to get an idea of French real estate prices. Clearly, you want to get as much maison as possible for your dollar. And note: it’s quite acceptable to make an offer. Away from the really high-profile areas, houses often sell for less than their listing prices. In France the business of conveyancing (the buying and selling of property), is handled by a notaire. A notaire is first and foremost a public official—not a lawyer—responsible for ensuring that all deeds are authentic and of incontestable value. You will have to appoint one to act for you. Because they are personally responsible for the contracts drawn up, they must be objective in the advice given and must act with impartiality toward the various contractual parties. Consequently, the same notaire often acts for both vendor and purchaser. Although engaging your own notaire isn’t strictly necessary, it is in your best interest. The prices in France can run the spectrum, from glittering apartments in Paris that cost $20 million to fixer-upper stone village houses that cost less than $25,000. As with anywhere, real estate prices tend to directly correspond with the popularity of the region, town, or neighborhood. Naturally, real estate in large cities are usually more expensive than equivalent properties countryside or rural homes, and houses in the sunny south will inevitably cost more than those in the damp western coast. But, there are good value or even bargain homes to be found almost every region in France, even if it finding them may require patience. Real estate agents (agents immobiliers) in France are strictly regulated. They must be in possession of a carte professionelle, which can be issued only by the agent’s local authority upon producing evidence that the immobilier has a minimum bond or guarantee with respect to the deposit of monies received from property buyers. More than 8,000 French real estate agents belong to FNAIM (Fédération Nationale de l’Immobilier), a recognized professional body. FNAIM can provide you with a list of member agents in your chosen area. The organization’s website has a comprehensive list of agents as well as a database detailing properties available in any given area. The FNAIM network includes expat British real estate agents who have relocated to France. Obviously, the British house-buying system is not the same as that in North America, but these agents are used to answering questions—in English—about how the process works for buying real estate in France. If everything is new to you, and you’re unsure of your French language skills, these agents can help you open a bank account and get set up with gas, electricity, and telephone companies. French real estate agents can do the same, but not all speak English. Buying real estate in France is not a difficult process. In most cases, the procedure is completed within two to three months. The agent will draw up an initial contract of sale, or a compromis de vente. Remember, unless you are completely au fait with the process, we recommend that you get your own lawyer and/or an independent notary to look it over before you sign it. Although the compromis de vente is the most commonly used contract, there are other types of preliminary contracts also. It is vital you remember that there is no standard form so you must be sure about what you’re signing and be especially sure that it contains any necessary conditions suspensives. These are conditions that, if not met, render a contract null and void and entitle the prospective purchaser to recover his/her deposit. For example, the preliminary contract could be conditional upon the prospective buyer being able to arrange a loan to purchase the property. The promesse de vente and promesse d’achat are two other options, both of which constitute a commitment to sell or buy. In the case of both these contracts the other party is not legally bound. On the other hand, the compromis de vente is a binding agreement that fixes the price and obligates both the vendor and buyer to come to an eventual completion. However, with a promesse de vente or a promesse d’achat, buyers who decides to back out won’t lose their deposit, although they could be subject to a claim for damages. The same applies to vendors. If they pull out of the sale, they can be liable for compensation up to an amount equivalent to the buyer’s deposit. We strongly recommend that you engage your own lawyer and/or independent notary—one that speaks both English and French—to represent you throughout the purchase process. You may wonder why, when you’re already paying the government notary to handle the property conveyance. Although it’s not necessary, it is in your best interest. The only function of a government notary is to make sure that a sale is properly completed under French law. As state officials, they are acting on behalf of both purchaser and seller. They are under no obligation to draw your attention to any potential problem areas. An independent French notary won’t cost you anything additional, as he will share the fees with the government notary. He will guide you through the paperwork and have all the legal documentation translated for you before you are required to sign anything. Moreover, you need to be sure that you understand France’s inheritance laws before signing any legal documents. How you structure any contract (whether it is in a single name, joint names, or the name of a company) affects who inherits your property. Regardless of how you’ve formulated your North American will, don’t assume that your spouse—or anybody else—is going to be the beneficiary of your French property when you die. France’s complex inheritance laws date back to Napoleonic times and guarantee children (and sometimes parents) a share of the estate. A spouse has no automatic right of inheritance. There are ways around this, and a specialized lawyer can advise you. The agent draws up an initial contract of sale, the compromis de vente. Remember, unless you are absolutely and clearly au fait with the process, we recommend that you get your own lawyer and/or an independent notary to look it over before you sign it. Although the compromis de vente is the most usual, there are other types of preliminary contracts. There is no standard form. Know what you’re signing, and be sure that it contains any conditions suspensives that may be deemed necessary. These are conditions that, if not met, render a contract null and void and entitle the prospective purchaser to recover his deposit. For instance, there are laws to ensure that the preliminary contract can be conditional upon the prospective buyer being able to arrange a loan to purchase the property. The promesse de vente and promesse d’achat are options. These constitute a commitment to sell or buy, but, in each case, the other party is not legally bound. On the other hand, the compromis de vente is a binding agreement that fixes the price and obligates both vendor and purchaser to come to an eventual completion. However, with a promesse de vente or a promesse d’achat, a purchaser who decides to back out won’t lose his deposit…and may be subject to a claim for damages. The same applies to the vendor. If he pulls out, he can be liable for compensation up to an amount equivalent to the buyer’s deposit. When the compromis de vente is signed, the purchaser pays a deposit, usually 10% of the price of the property. This deposit is put into an escrow account, held by the notary or real estate agent. If paying cash, the contract is considered definitive. If you pull out, you lose your 10%. If you’re applying for financing, you have a maximum of 45 days to arrange a mortgage. If the bank refuses to lend you money, then the contract is null and void, and you get your deposit back. If, however, the bank accepts, then the conditions are the same as a cash buy. Once you’ve signed the compromis and paid the deposit, the notary gets down to business. Various searches are carried out relating to the freehold of the property. During this intermediary stage, you will be required to provide the notary with copies of your birth and (if relevant) marriage certificates. You will be given a proof of ownership paper and, approximately six to eight weeks later, receive a copy of the deed once it has been recorded in the French administration system. The original document is kept at the notary’s office. A transfer tax of 5.09% to 6.40% is levied on the sale of real estate, depending on the type, location and use of the property. The French government charges a tax for registering a mortgage or loan on your property. The fee depends on the amount of the loan. Annual property taxes consist of the taxe d’habitation (paid by owners-occupiers and most long-term rental tenants) and the taxe foncière (real estate tax). The calculation formula is quite complex and depends on a number of factors, including whether the property is your primary or secondary residence. Secondary residences are taxed at a higher rate. The taxe foncière is based on the notional rental value of the apartment. It takes into account the age of the building, the area of a city, and the size of a property. For example, a 215-square-foot studio in an older building in the Marais (3rd arrondissement) of Paris might be assessed at $205. The taxe foncière for a 535-square-foot, one-bedroom apartment in an older building in the 5th arrondissement might be $240. For a small village house in mainland France, your combined bill for the taxe foncière and the taxe d’habitation will probably be around $500; for a larger house, around $1,000. Apartment buildings in France are similar to co-operative and condo buildings in the States. You own your apartment but share responsibility for common parts of the building with other owners. There is a monthly copropriété (co-op) fee that pays for expenses involved in maintaining the building, common utilities (usually including water for all apartments), garbage collection, maintenance, etc. This charge runs approximately $120 per month for both of the above-mentioned Parisian apartments. Charges tend to be lower in provincial cities and towns. In Nice, monthly service charges for most one-bedroom apartments in good residences are mostly between $65 and $90. French inheritance tax is payable by beneficiaries. The rate is applied on the net value of the asset, after the deduction of liabilities, and any tax-free thresholds depend on the relationship between the beneficiary and the deceased. Spouses or couples in formal civil relationships are not subject to French inheritance taxes. However, there is an inheritance tax for lifetime gifts. In this case, a spouse’s tax-free allowance is currently €80,740 and €100,000 for parents and children. The balance in excess of the allowance is taxed at progressive rates from 5% up to a maximum of 45%. For more remote family members, and others, smaller allowances are given and higher rates of tax will apply. As of January 2018, the old wealth tax system was abolished and replaced with a new one that only taxes real estate. Residents of France with worldwide property worth €1,300,000 or more is responsible for this new property wealth tax. Non-resident homeowners are only liable for property in France. Homeowners with real estate valued less than €800,00 have a 0% tax rate. Real estate valued at between €800,001 and €1,300,000 have a 0.5% tax rate. From there, the rates increase progressively based on bands of property values, maxing out at a rate of 1.5% for properties over €10,000,000. Whether you reside in France or not, you will be liable for tax on any rental income earned from your French property. For tax residents of France, this is levied at regular income tax rates (see below). For non-residents, it will be a minimum of 25%. • Above €153,784 the rate is 45%. If you sell your French property during the first five years of ownership, you will be liable for capital gains tax and social charges totaling 34.5%. A discount 6% per year on capital gains taxes is allowed starting after fifth year of ownership. After 22 years, you’re exempt from capital gain taxes, but will still be subject to social charges until you’ve owned the property for 30 years. The first was her incredible longevity. When she died in 1997, she had reached the age of 122. But when she was 90, she had negotiated to sell her apartment “en viager.” It means “for life,” and this is how the deal worked: Monsieur Raffray, the man who bought Mme. Calment’s apartment, planned to move into it after her death. He also agreed to pay her 2,500 francs per month for as long as she lived. (At the exchange rate of the time, around $500.) He naturally assumed that he wouldn’t be paying the lifer for too long. But Mme. Calment lived on…and on. In fact, Monsieur Raffray died at the age of 77, without ever occupying the apartment. In total, he had paid out what then equated to $184,000 in handouts to the old lady for a property he never got to live in. And his survivors were legally bound by the agreement. They still had to write Mme. Calment her monthly check. “In life, one sometimes makes bad deals,” mused the cigarette smoking, foie-gras-eating Mme. Calment. In France, the buyer is typically solely responsible for all legal costs and fees incurred in relation to property transfers. These vary, depending on whether you buy a new home or an older property. It’s difficult to give an exact calculation of total costs, but generally, you can expect to pay 8% to 9% for a traditional village house or rural cottage, and 3% to 4% for a newly built house or apartment. Legal fees include not only the notary’s fees (frais de notaire), but also disbursements, taxes, various duties, as well as searches at the land and mortgage registry. In addition, sales tax may be payable for properties less than five years old where there has been no previous sale. 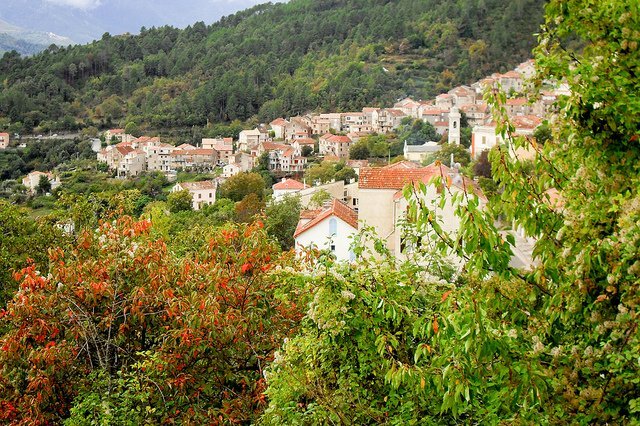 The notaire’s fees are set by the government at 5.09% and 0.715% for properties less than five years old. Contacts on the ground in France have warned us that some notaires try to charge additional fees to English speakers. Obviously, you must expect to pay more than a French person if documents need translation, but determine what the fees are before you proceed. Commission charges are the fees charged by the real estate agent for the purchase, and usually represent between 4% and 10% of the purchase price. 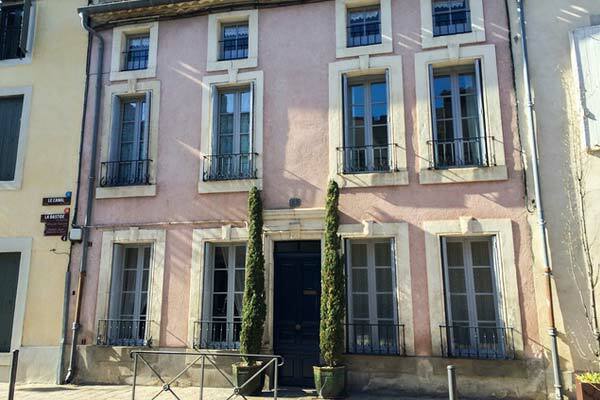 French real estate agents are allowed to set their own commissions. This cost may be payable by the vendor or the purchaser—there is no standard practice—but in most instances, the purchaser is liable. Commission fees are often built into the selling price. Ask about this when you make initial contact with an agent and begin inspecting properties. You’ll want to know if you are liable for a real estate agent’s commission fee before signing any preliminary contract. A point worth noting is that you can shave some euros off purchase costs by deducting the agency commission fee from the sale price and paying it directly to them. This will save on notaire costs. Say you have your eye on a $100,000 property. To make things simple, we assume the agent has included her 10% commission fee in this price and that the notaire will be charging 10% on top of that. You will be charged $110,000. However, pay the agent $10,000 and the notaire is left with 10% of $90,000. You’ve saved $1,000. This must be made clear before you sign the initial agreement.